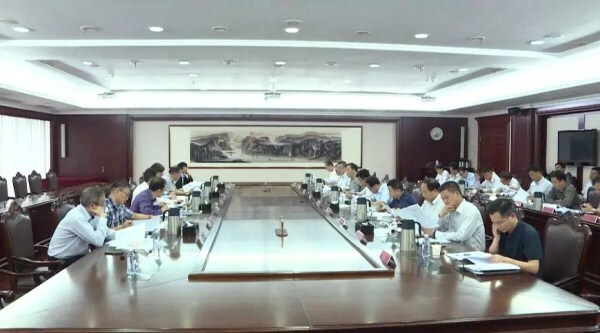 Wuhan Economic and Technological Development Zone (WHDZ) saw steady economic growth from January to April this year, according to a meeting about the zone’s economic performance. The major economic indicators such as industrial output value, industrial investment, and urban construction investment in the zone all maintained steady growth. Data reveals that in the four months, investment in urban construction projects in WHDZ was 6.24 billion yuan ($979 million), accounting for 29.3 percent of the annual investment target. The zone’s output value of industrial enterprises above designated size (with annual income of main business exceeding 20 million yuan) was 110 billion yuan, a year-on-year increase of 11.1 percent compared to the same period in 2017. Industrial investment in WHDZ reached 11.8 billion yuan, up 20.7 percent compared to the same period in 2017. During the period, a total of 26 companies started operations in WHDZ, and projects involving investment of 31.27 billion yuan were agreed for the zone. WHDZ also started construction on 17 projects worth 22.63 billion yuan, and put eight projects with investment of 3.4 billion yuan into operation.